It’s December 19, and Jim, Morgan, Alex, and I are still stuck in McMurdo. Maybe it’s time to take those yoga & meditation classes that they offer out here.. because it’s getting increasingly difficult to keep our Zen faces on. We thought today was going to be the day. The runway at CTAM was tested yesterday and everything looked promising. We woke up bright & early, donned our ECW clothing, got packed lunches, and were at the transport center at 6:45 am. We were immediately informed of a weather delay and within the hour our flight was cancelled for the day. We miss Johnny, Barbara, Jani and Steve. We spoke to them yesterday and got to know that they are already at Miller Range! I’m glad they got out before the weather at CTAM got bad. AND.. they’ve already found 2 meteorites! I’m getting tired of all the terrestrial rocks at McMurdo and keep looking out for meteorites in a sea of dark basalts. All I want for Christmas is a freezer full of space rocks… is that really too much to ask for? Here’s a picture of Alex on our (2nd) loop hike around Observation Hill. All of us newbies have been pretty confused about directions out here. So Alex decided we needed to figure this out from first principles with a bamboo stick stuck in the ground, on a freezing ridge hike. 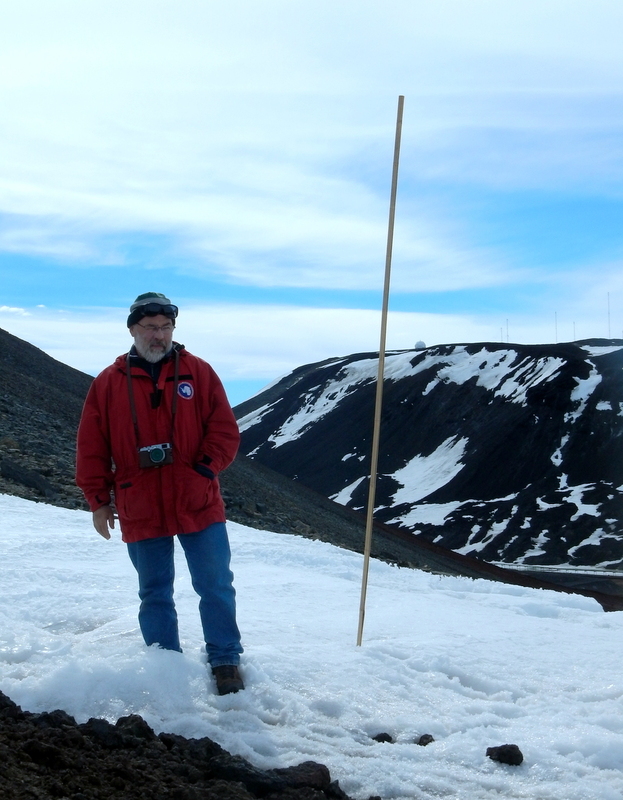 And here’s our intrepid leader, Jim, giving the non-geologists the scoop on local McMurdo rocks. Christmas decorations are up and party plans are in full swing at Mactown. While it’s lovely, warm and fuzzy around here, I want to be freezing in our tent at Miller Range, digging into the 10 lbs of butter (per tent!) 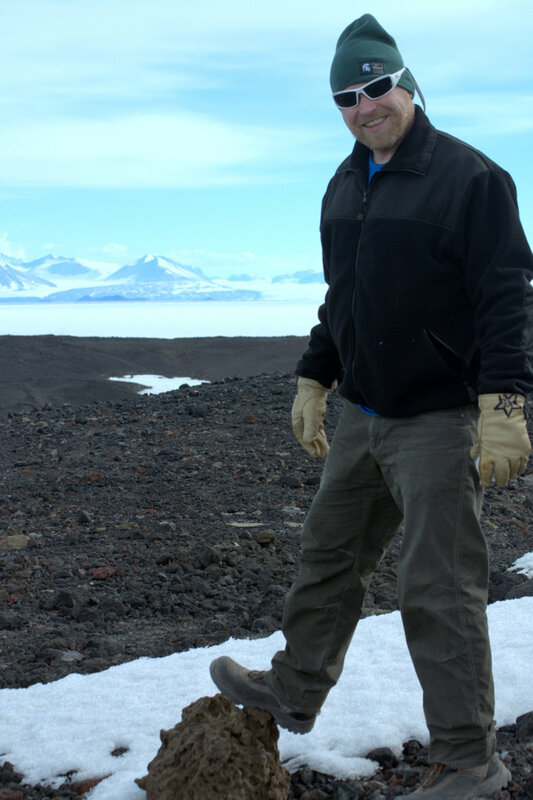 we sent out in the field, and doing some serious meteorite hunting. Send good tidings our way. I hope the next post is from all of us at Miller Range.